Do you like deals? Do you like to be the first one to know about fun events going in your area? Join the Text Club at Falmouth Country Club!!! 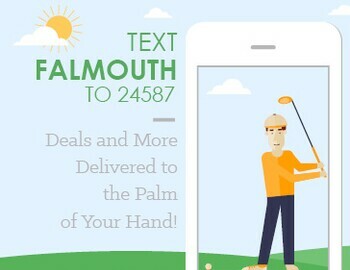 Simply Text the word "Falmouth" to 24587 and you are in! That is it!